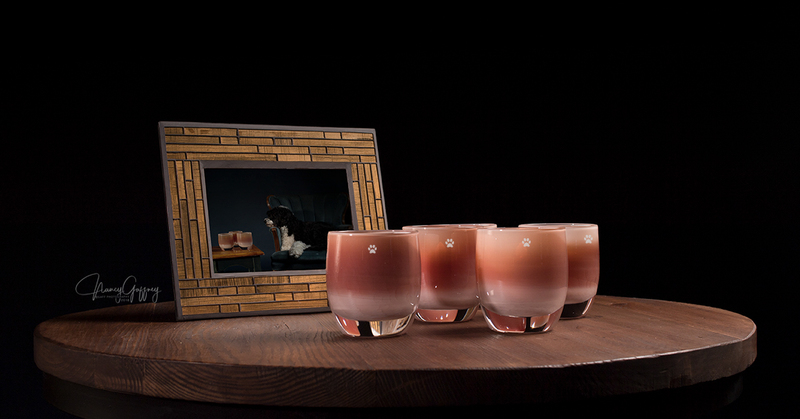 Lighting the Way | PWD Foundation, Inc.
Partnering with the Portuguese Water Dog Foundation, Seattle-based glassybaby created ‘Water Dog Love’, a hand-made votive candleholder in honor of all dogs in the fight against hemangiosarcoma. It takes four artists, three layers of molten glass, two thousand degrees, and 24 hours to make one glassybaby. 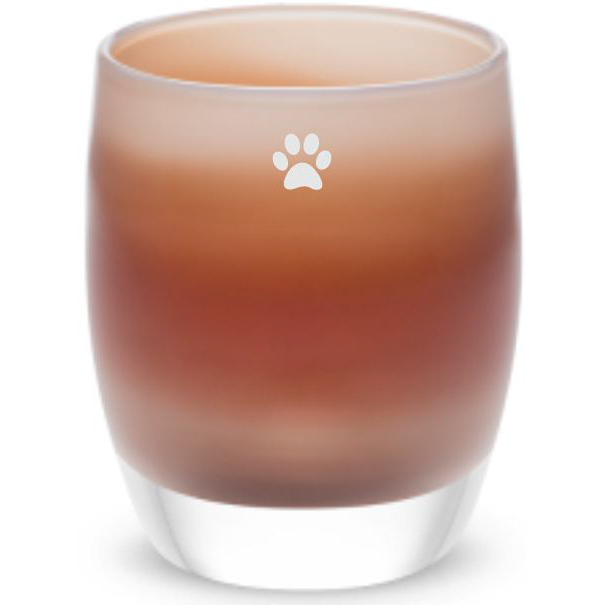 Each one-of-a-kind ‘Water Dog Love’ glassybaby votive has an earth inspired neutrals with an etched silver paw print that will shine with its own glow when lit. All proceeds from your purchase of ‘Water Dog Love’ benefit the Foundation’s hemangiosarcoma cancer research fund. Pre-order yours for a donation of $75 each. Shipping of the ‘Water Dog Love’ votive candleholders will be the week of May 13, 2019. Pre-order donation includes shipping to US addresses. Shipping to International addresses is available for an additional charge. It may take up to 10 business days to be delivered. Hand-blown in Seattle, ‘Water Dog Love’ votive candleholder will fit snugly in the palm of an average hand, and stand almost 3.75” tall. Each glassybaby comes in a white box, signature white box, wrapped tealight, glassybaby story card, and thank you card from the Portuguese Water Dog Foundation. 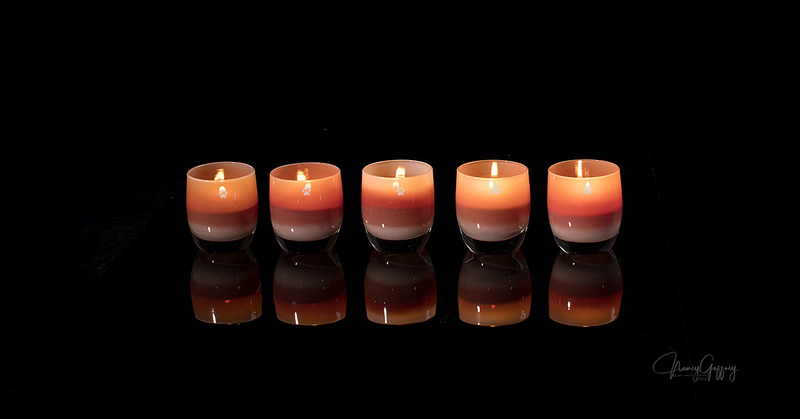 Three-time cancer survivor and entrepreneur Lee Rhodes founded glassybaby in 2001 with a vision for helping others. 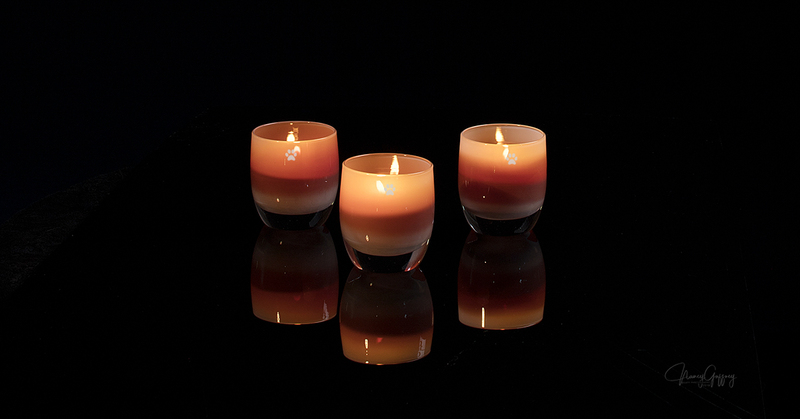 In addition to your donation and with a generous spirit, glassybaby will donate 10% from the sale of each ‘Water Dog’ votive candleholder to the Foundation’s hemangiosarcoma cancer research fund.